Cost of producing professionally printed information leaflets for publicity purposes. Also costs to purchase stationary and postage to distribute the leaflets and for general administrative purposes. This project was funded on 04 Jul 2018! 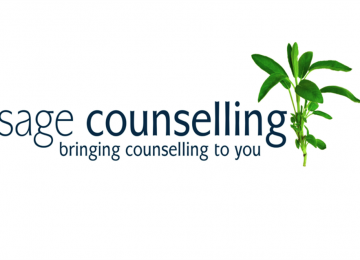 SAGE Counselling is passionate about reaching the wider community and informing the public of our charity and the invaluable work we do. We are fundraising for the cost of producing professionally printed information leaflets, along with stationary and postage to distribute the leaflets and for use in general administration. 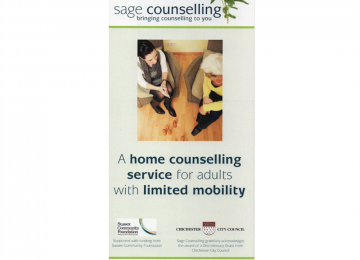 SAGE Counselling delivers up to 800 hours of voluntary counselling sessions a year to people with mobility issues who are unable to access other counselling services. We operate throughout WEST SUSSEX. We travel to the clients home, place of residence, hospital or hospice. 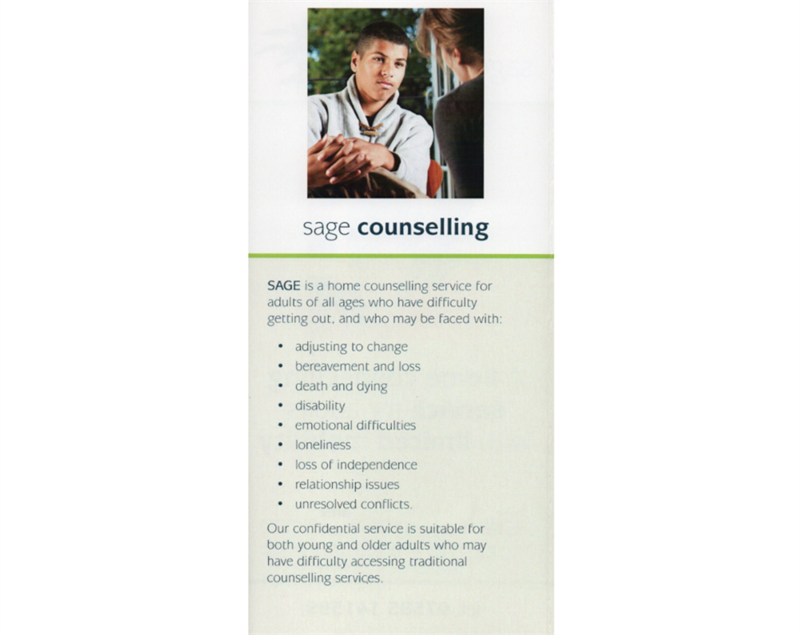 The information leaflets are used to publicise SAGE Counselling in all public areas including libraries, town halls, GP surgeries, social services, mental and community services. To make a difference to these clients, their families, careers and the wider community. 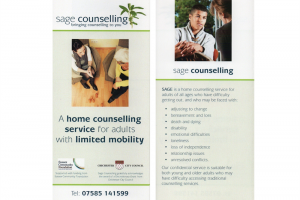 We are passionate about getting our service to as many people who need it and to do this we need to pay for professionally printed leaflets to distribute throughout West Sussex for publicity purposes. Many people as they get older or who are younger with mobility issues find themselves more isolated and with reduced financial means. 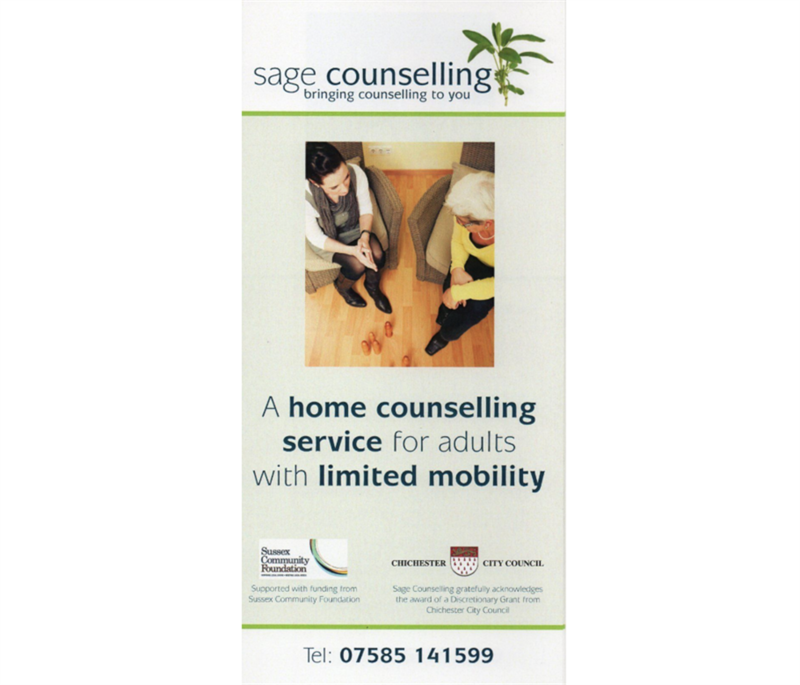 Their mobility issues mean they are unable to attend NHS counselling or afford the commensurate rate of high street counselling charges. During counselling clients can find new ways to view their life issues, become more proactive in their own health and well-being, make more connections to reduce isolation, learn how to change and maintain their mental and physical health and become more engaged in the local community. 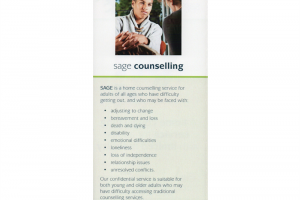 Without SAGE Counselling many of the people we see would not get the help they need. 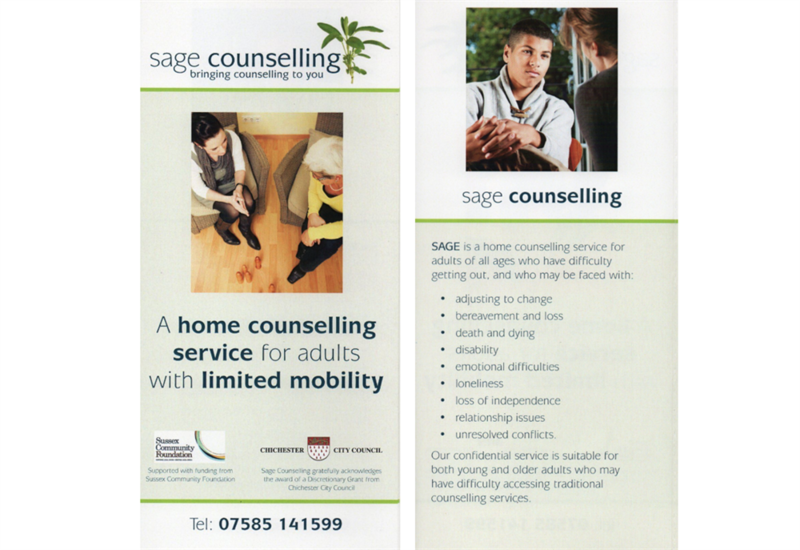 Attract more clients that need counselling by informing the wider community through distribution of leaflets. Buy postage stamps and stationery. Write letters and send with information leaflets to all medical, social, political and community care based area's. Follow up random recipients. This is useful to establish rapport and encourage distribution of leaflets to the public. 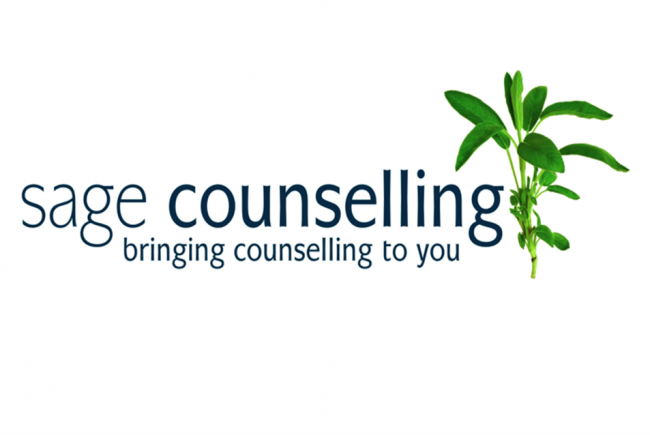 SAGE Counselling operates throughout WEST SUSSEX All our counsellors are volunteers who give their time and expertise freely to help those in need. We also provide fully supervised placements to student counsellors in their 2nd year of a recognised training course where they will gain invaluable experience to complete their training. 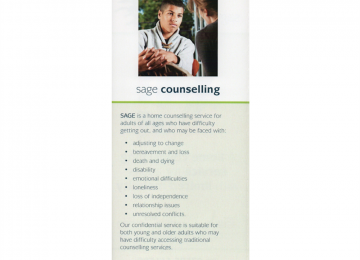 Many students stay with SAGE Counselling offering their time and expertise as trained volunteer counsellors while developing their own careers. 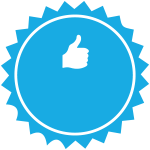 Whoop, 10 people have pledged since fundraising began! SAGE Counselling has been operating throughout West Sussex since 1999. It gained charity status in 2001. 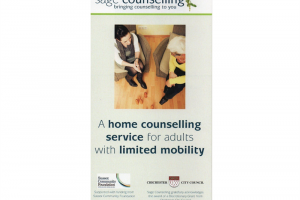 It was originally intended to offer a counselling service to the elderly in our community who despite the popular misconception that the older person is unable to change can in fact do so with the help of counselling. Since 2102 we have included adults of any age who through disability caused by physical or mental health issues are unable to attend NHS or other counselling services. There is an increasingly marginalised number of elderly and those with disabilities in our communities who feel isolated, lonely and trapped. Many have complicated and often distressing life stories that they need to make sense of. Others need to come to terms with changing life circumstances to find some equanimity and peace in their lives. Others just need some space to talk through difficulties and find alternative perspectives and other possible choices, to effect the changes they want to make. 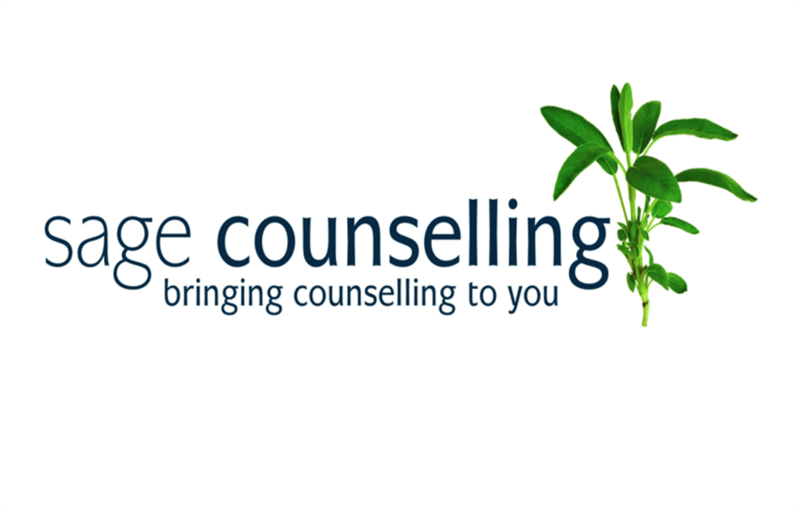 SAGE Counselling is as far as we know a unique service in West Sussex. We have a group of committed volunteer counsellors. We also accept student counsellors in their 2nd year of training on a recognised course to gain invaluable experience as counsellors. 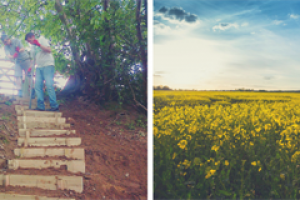 We abide by the British Association of Counsellors and Psychotherapists Ethical Framework and offer all our counsellors forthightly supervision to ensure their work is safe, ethical and effective. 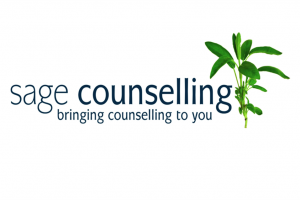 Project Delivery Manager: SAGE Counselling The Project Delivery Manager takes legal responsibility for receiving and spending the funds raised and ensuring the project is delivered.